Beautiful home, and easy living! Welcome home to your spacious open floor plan, private elevator, a large master bedroom and gorgeous master bath. This end unit condo features a private entrance leading you to the the foyer with a beautiful hardwood staircase, or to your private elevator. On the 2nd floor your met with your living area featuring beautiful hardwood floors. Enjoy the spacious open kitchen, 42'' custom cabinets, granite counters and large island, brining you into your your family room featuring tray ceiling. The large master retreat, with tray ceiling, large walk-in closet and the master bathroom featuring high ceilings and sky light will not disappoint. Kick back on your screened in balcony and enjoy views of the preserve. This brand new 3-story condo is ready now! A few of the design features include wood flooring throughout, fresh white cabinets, granite counters, and a bedroom with full bath on the ground floor. This home has an open floor plan that's perfect for entertaining, along with a spacious covered deck overlooking the nocatee preserve! 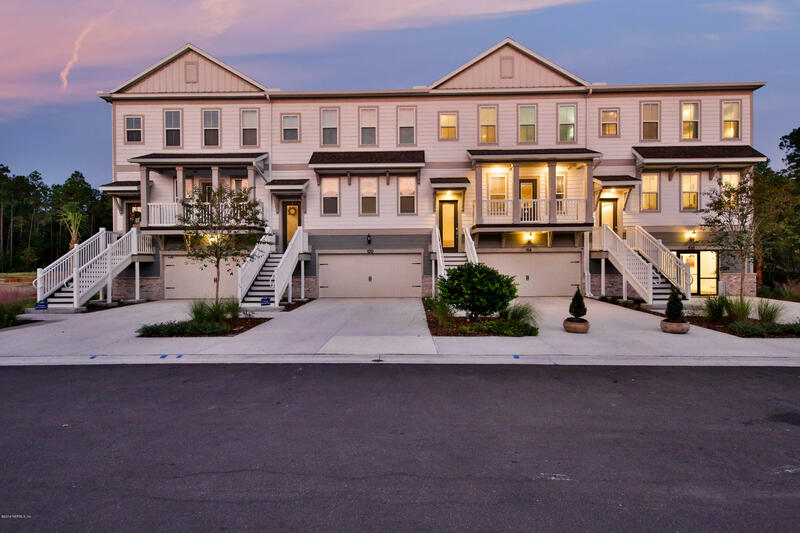 Come see tidewater, nocatee's new low-maintenance gated community! 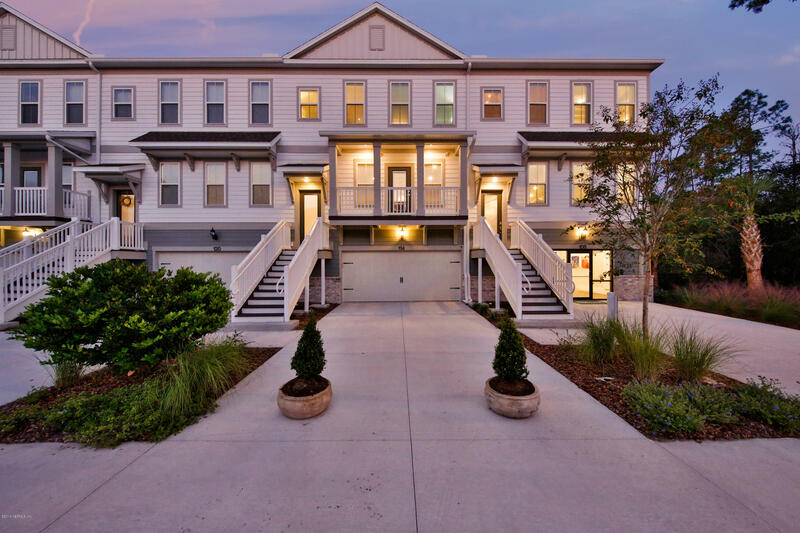 This 3-story condo has a beautiful view of the preserve from its spacious deck, private patio, and owner's suite. Its designer selected features include rich espresso cabinets with quartz counters, tray ceiling, and an open floor plan that's perfect for entertaining. This gorgeous home is also an end unit with additional windows letting in extra natural light. 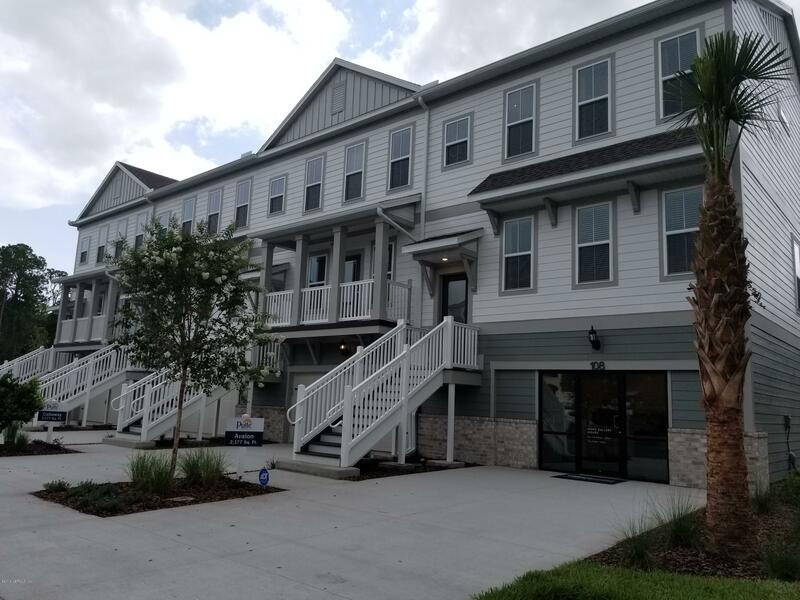 Tidewater is walking distance from the exclusive nocatee amenities/local restaurants/grocery store, plus its brand new construction w/an excellent 10-year pulte warranty you can count on--don't miss out! This brand new 3-story condo is ready now! The designer selected upgrades include porcelain tile flooring throughout, quartz counters, upgraded cabinets, crown molding, and more! This home has an open floor plan that's perfect for entertaining, along with a spacious covered deck overlooking the nocatee preserve. **Just listed** come live in luxury in the only ground floor condo available in the exclusive, gated coastal oaks community at nocatee. This one won't last long! This home features hard wood floors, quartz counters throughout, custom soft-close cabinets throughout, gorgeous kitchen with huge island, 42'' cabinets with crown molding, stainless steel appliances. The master bathroom is a must see with double vanities and spa-like walk-in shower. Upgrades galore include plantation shutters, crown molding, recessed lighting, pendant prewire, water softener loop, utility sink in laundry. Two-car attached garage & tons of storage space. Live practically maintenance-free. Fees cover landscaping, irrigation, termite bond, lawn pest control, structural insurance, ext. Bldg maint. , pool & more! 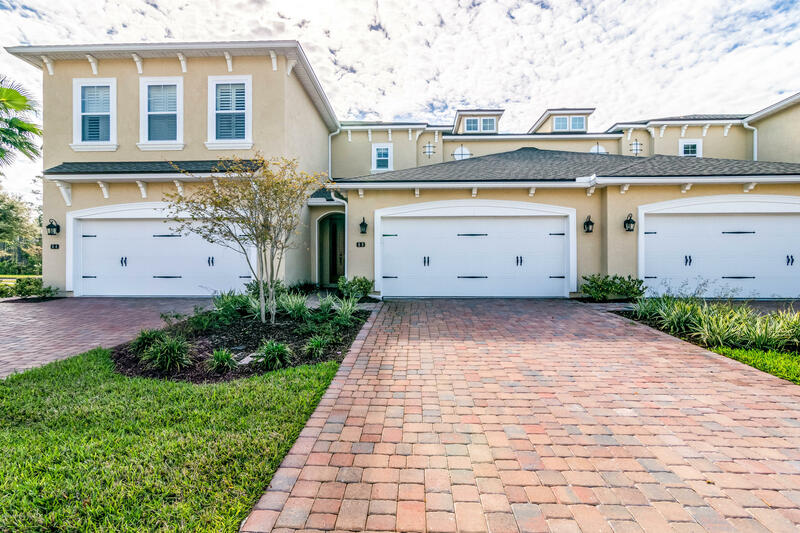 Welcome to gated 55+ del webb ponte vedra in nocatee! This top floor end unit condo faces the back of the building and has everything; 2,129 sft w/2bdrm + den serviced by 2 elevators, views of the canal waterway & pond from the large 22' screened lanai. 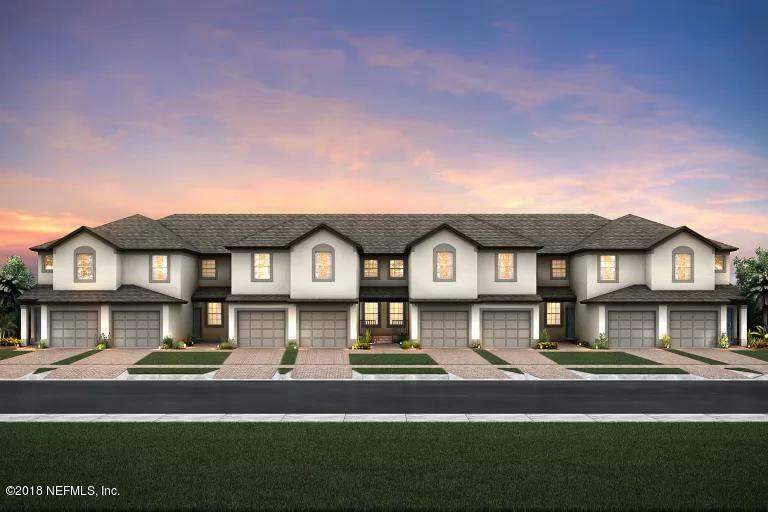 Granite counters, ss appliances, 10' ceilings, plantation shutters, sprinkler system, murphy bed in 2nd bedrm, ceiling fans, custom closets, lots of natural light & very large family rm. Owners enjoy all del webb amenities; indoor & outdoor pools, spas, fitness center, pickle ball, tennis, crafts, steam rm, sauna, cafe', numerous clubs & a full time activity director! Nocatee splash park just a bike ride away & pv beach shopping, restaurants & the ocean just 10+ minutes away! 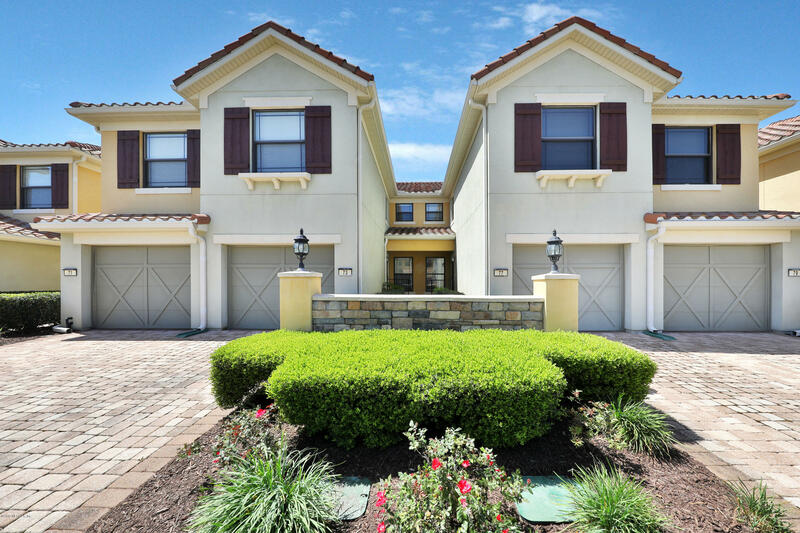 Welcome to the gated 55+ del webb in nocatee. 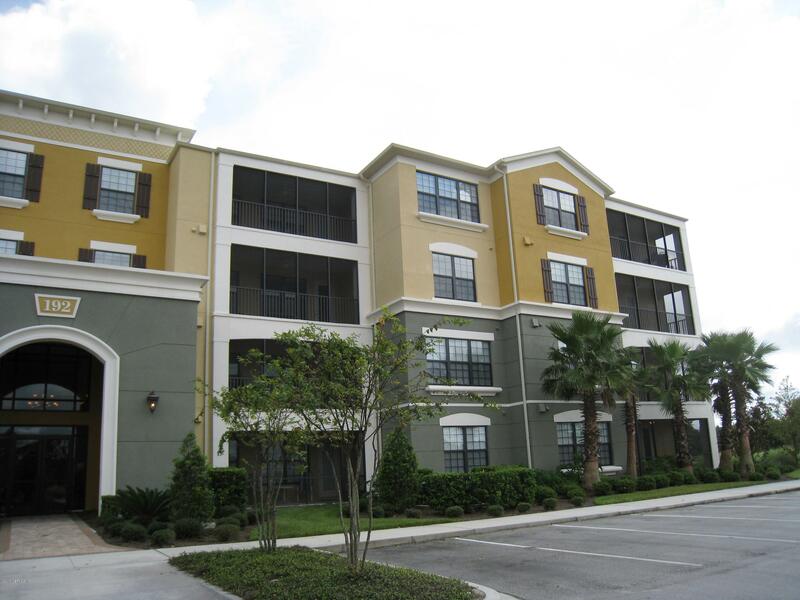 Enjoy this maintenance free and move-in ready condo! The cormorant carriage home is the largest floor plan with 2 bed/2 bath/office with french doors. Enjoy your mornings and evenings on your oversized screened lanai overlooking the lake with fountain. The vaulted ceilings in the great room and open floor plan adds a feel of grandeur to the space. Kitchen: granite counters, ss appliances, cherry 42'' cabinetry and pantry. Mbath: walkin closet, 2 sink vanity. Owners also enjoy anastasia club w/ indoor & outdoor pools, spa, tennis, pickleball, fitness ctr, bocce, crafts, cafe', numerous clubs & full-time activity director. Enjoy nocatee's spray and splash waterparks with grandkids. 10 minute drive to atlantic ocean and beaches. Ready in december. Enjoy this beautifully appointed 2-bedroom, 2-bath with large office cormorant home design with 1,868sf of open living space boasting vaulted ceilings and lots of natural light along with a very large screened covered balcony. This home is low maintenance, so you can lock the door and go on your next adventure with the del webb travel club! Easy living with all exterior land care and building care and insurance maintained by the association. Spend your time enjoying the club house and amenities and not maintaining a big home and yard. It's time for the good life so let's start it now! 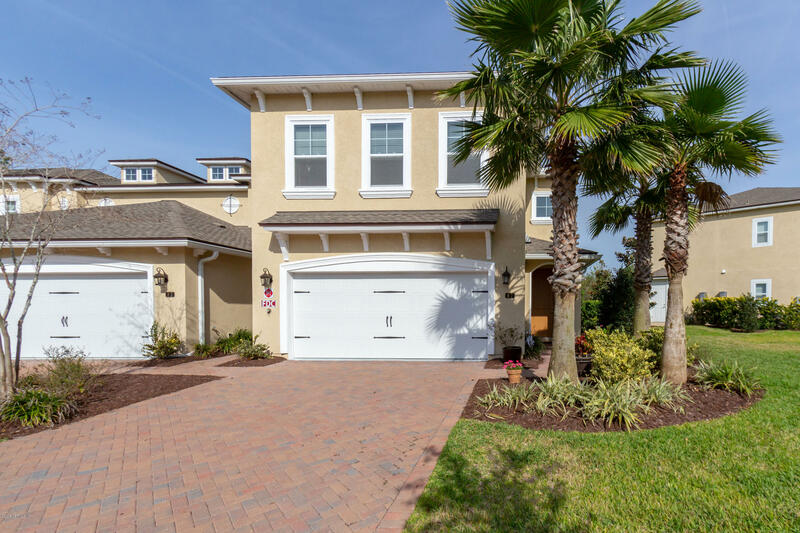 As of today, 4/19/2019 the average home price for homes for sale in Ponte Vedra is $1,181,716.